Make a commitment to yourself, you can frame or write it and hang it on your wall. You have to agree and acknowledge to yourself that developing your social media presence could take your profits of the year higher, after that promise to invest time, resources and energy into it even if you realize losses. This will keep you active, committed and busy even when your presence is not being noticed. Also be realistic in your expectations. Consider all your markets; decision-influencers, customers, suppliers, media, chat sites and much more. Design your plan so it positions you appropriately within your markets. Such as, if you need business to business networking, join LinkedIn and if you are trying to reach a retail consumers, use Facebook, Twitter and Zinzzchat. After identifying a social media platforms you're focusing on, focus your attention to ways and frequency of engaging with your followers and fans. 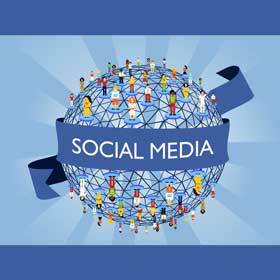 Infrequent interaction is a main reason businesses fail at social media. The most successful businessmen in social media engage their users steadily. Create and respond to posts, tweets, comments, etc. You need to begin the conversation with your followers and fans, and anytime they need your attention, be ready to respond. Remember that, in twitter, tweets move so fast and can become irrelevant within an hour. Facebook status and chat sites updates and posts can take a few hours while videos take very long to be irrelevant. Your followers and fans want conversations, thought leadership and industry news. Your content should talk about your customers, industry and discuss your business. This means you should write white papers, start a blog, explore trends, create info graphics and release case studies. Your goal should be posting some content at least two days a week. Posts should be frequent and consistent, avoid taking more than a week without posting. In-depth papers and articles will place your business as a thought leader and industry expert, hence keeping your followers and fans looking to you. Promotions and contests keep followers and fans interested, excited and coming back. They are a secret way to get your brand or business ranking increased. If you always have some giveaway going, especially not so great prizes, they will become more social background noise. Run a promotion or contest for months and ensure the prize exciting. These are the best tips on what it takes to effectively use social media to grow your business. It is a good starting point for evaluating the role of this rapidly growing trend in your marketing plan today and in the future. How is Zinzzchat ? Have you ever use it ? No, I haven’t used it. I took a look at their site, but since they’re giving zero information how it works I didin’t find any reason to sign up.